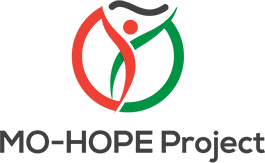 The MO-HOPE project offers a number of different core trainings, with the option to include additional modules to customize a training designed to meet the needs of individual agencies and organizations. This training prepares individuals to train those who will discuss overdose education and naloxone use with individuals at risk of experiencing or witnessing an opioid overdose. After completion of this course, participants will be given resources to present all materials to others. This course is most appropriate for individuals who will offer trainings to county and municipal health departments, treatment providers, socials service agencies (including homeless shelters, domestic violence shelters, food banks, etc), medical providers, and other community organizations and agencies that may work with at-risk individuals. Delivering Overdose Education and Naloxone Distribution (OEND): Learn how to provide clients with overdose education, and either distribute or recommend how and where a client can acquire naloxone. This POST accredited training prepares individuals to offer trainings to those who are likely to be the first responds on the scene of an overdose. After completion of this course, participants will be given resources to present all materials, and request POST accreditation for the course they offer. This course is most appropriate for individuals who will offer trainings to emergency responders, including law enforcement and fire fighters, security officers, college/university housing or residence life staff, or other individuals who may respond to an overdose emergency. Opioid Use Disorder Overview: Learn about opioid use disorder, including a brief overview the effects of opioids on the brain. This training is designed for individuals who want to discuss overdose education and naloxone distribution with patients who are prescribed opioids and may be at risk of experiencing or witnessing an overdose. This training is most appropriate for primary care clinics, Federally Qualified Health Centers, pain management clinics, and other medical provider. 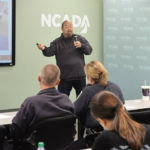 Delivering Overdose Education and Naloxone Distribution (OEND) Learn how to provide patients with overdose education, and either distribute or recommend how and where a client can acquire naloxone. Treatment Options: Learn about different treatment options for opioid use disorder, including an overview of the medications used in Medication Assisted Treatment and how they work to promote long-term recovery. This training is designed for individuals who will discuss overdose education and naloxone use with individuals at risk of experiencing or witnessing an opioid overdose. This course is most appropriate for medical, mental health, and substance use treatment providers, social service agencies (including homeless shelters, domestic violence shelters, food banks, etc.) and other community organizations and agencies that may work with individuals at risk of witnessing or experiencing an opioid overdose. 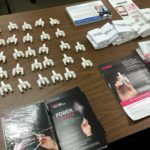 Delivering Overdose Education and Naloxone Distribution (OEND): Learn how to provide clients with overdose education and either distribute or recommend how and where a client can acquire naloxone. This training is designed for individuals who are likely to be the first responders on the scene of an overdose. This course is most appropriate for law enforcement, fire fighters, security officers, college/university housing or residence life staff, or other individuals who may respond to an overdose emergency.